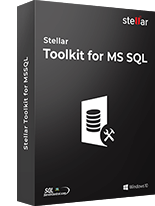 * Free Download offers free evaluation of the software & preview all the lost files and folder that can be recovered by the software. 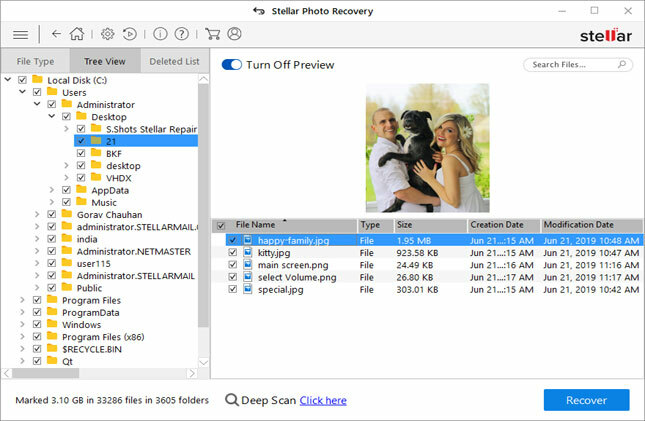 Stellar Photo Recovery Software recovers lost or deleted photos, videos, and other multimedia files from hard drive of computer and other detachable storage devices, such as memory cards, digital cameras, external hard disks, USB drives. 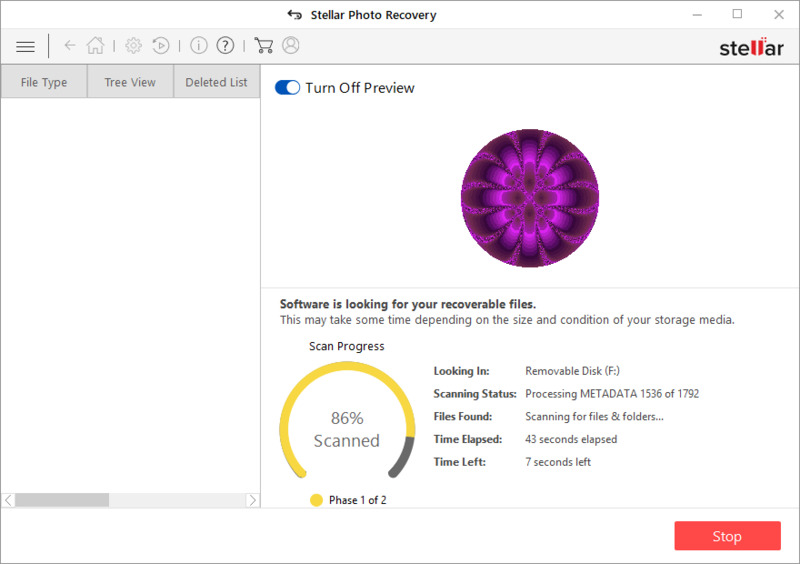 However, for successful recovery by this photo recovery software, these aforementioned external storage devices must be recognized by your computer. The software scans the selected storage device and provides the list of all the photos and other multimedia files. You can see the preview of a recoverable files in three views, such as List View, Thumbnail View, and Cover Flow View. You can preview the recovered multimedia files as 'Classic List', 'File List', and 'Deleted Files' List. If you wish to save only the deleted photos out of your storage media, you can select them from this 'Deleted List' and save them. 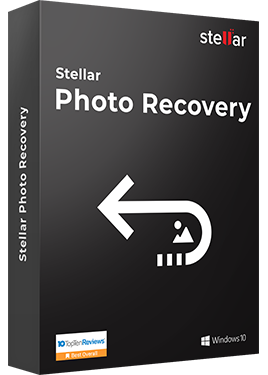 The efficient photo recovery software also provides you the feature to select single as well as multiple files for recovery. 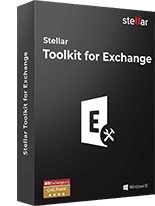 The software supports major and popularly used audio, video, and image file formats. You can also add new file headers to the existing list. Using the 'Create Image' feature, you can create the image file (.img extension) of the entire storage device or selected region of the storage device. You can also stop the scanning process any time and save the scan information. The 'Resume Recovery' module is helpful in recovering the multimedia files from these .img files. For advance users the software provides the feature Select Range. By using this feature, you can select any specific region of the hard disk, hard disk volume, or attached storage device for scanning. The scanning process will search files only in this selected region. 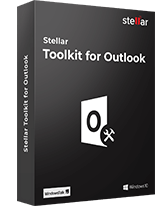 You can minimize or maximize the application wizard as per your suitability. The Live Update Wizard automatically checks for all the latest updates of the software. 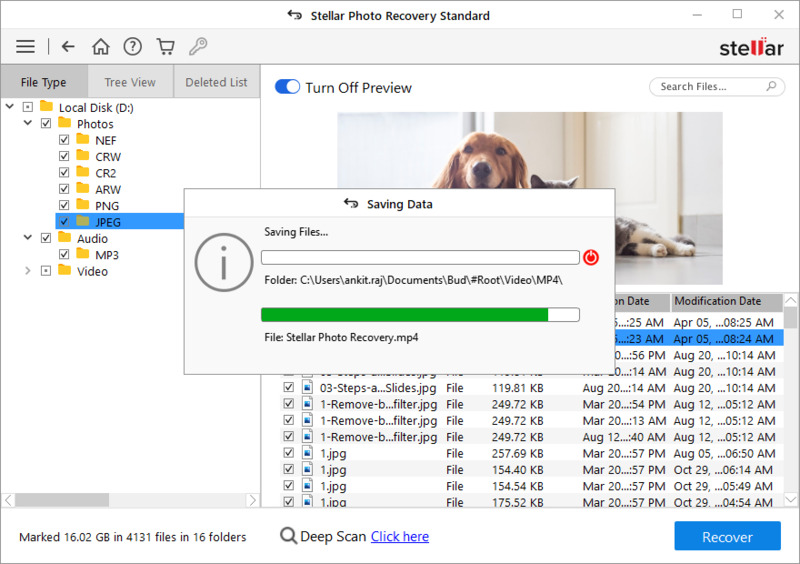 You can use this image file to perform photo recovery process at any time. 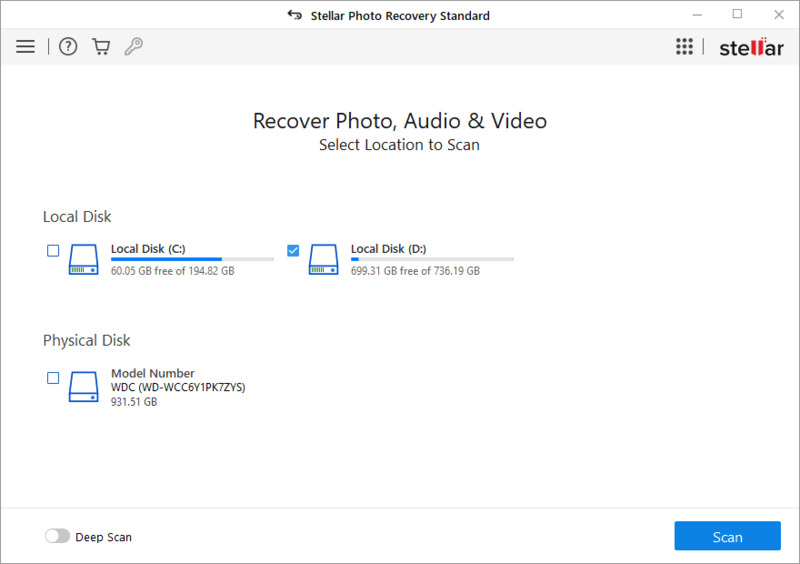 I found it as one of the easiest way to recover photos from any device. 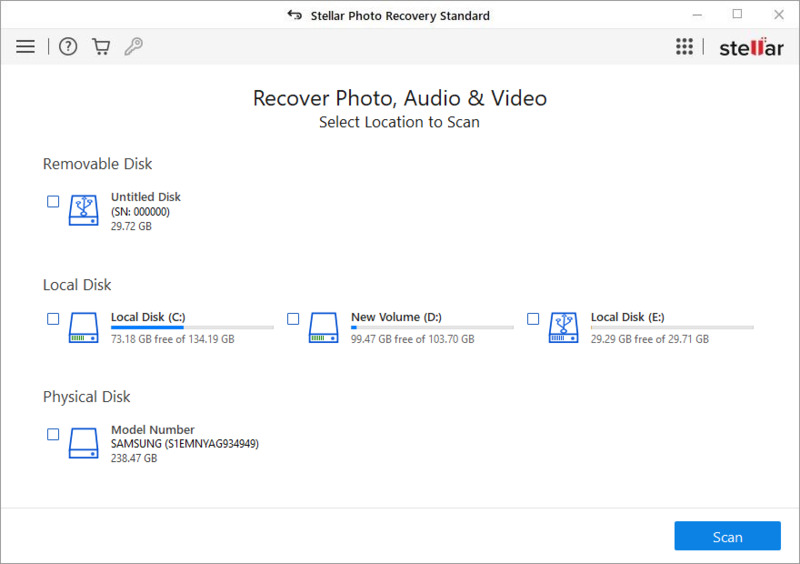 I also liked the RAW recovery feature and were happy with the results! I deleted few of my video files from my computer. 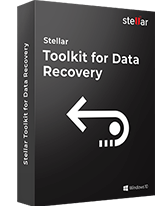 I searched online for a recovery program and finally, I got to knew about this software. I recovered them, except few video files which were still missing. I received a Memory Card Error message and thought that all the pictures would be lost permanently. 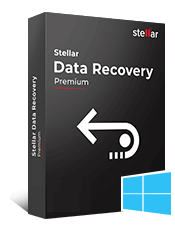 However, I tried the free trial version of this software and after having sure of the recovery and went for this software. I deleted my "camera roll" photo album in my Gallery. However, I recovered back these pictures from my SD card through the help of this software! I down loaded the software last week to try and recover 4 years of deleted videos on my sony handycam hard drive. I can't believe how easy it was and that this software was able to recover over 99 deleted video files. I thought the family memories were gone forever but they are fully restored now. This product is amazing!! Images completely recovered from my SD card after it has been formatted on a Sony camcorder. In the midst of removing unwanted junk from my computer, I ended up deleting one of my folder with recent pictures. I thank my friend for suggesting me this powerful software. Now all my fear of data loss is solved.